Judy Levey has been JCUA’s executive director since 2012. She originally joined the staff in 2009 to manage JCUA’s community development work. 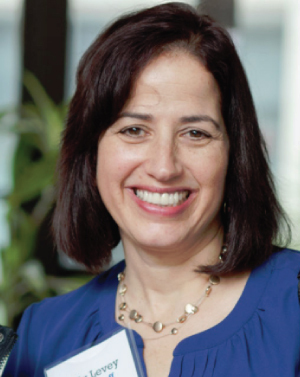 Building on JCUA’s strong history, Judy has led the renewed membership initiative to help galvanize JCUA’s voice and impact as a partner and ally to marginalized communities in Chicago. She was formerly the executive director of the Homeless and Housing Coalition of Kentucky, where she led a successful campaign to establish permanent statewide funding for affordable housing. Earlier in her career, Judy spent 7 years working for New York City’s Human Resources Administration. She holds a master’s in public policy from the Kennedy School of Government at Harvard University and a B.A. from the University of Michigan. Hannah comes from a strong background in education and social justice, and loves working with young people to become agents for change. Hannah has a Master’s in Women’s & Gender studies from DePaul University and a Bachelor’s in Public Health from the University of Rochester. She is skilled at curriculum development, community building, and activism. 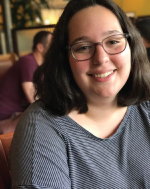 Hannah is super excited to lead Or Tzedek, JCUA’s teen social justice program, and continue to help others get excited about organizing through a Jewish lens. Alongside dismantling systems of oppression, Hannah loves to dance, swim in the ocean, and bake delicious desserts. A life-long Chicagoan, Jackie joins JCUA ready to focus on creating greater racial equity within JCUA. 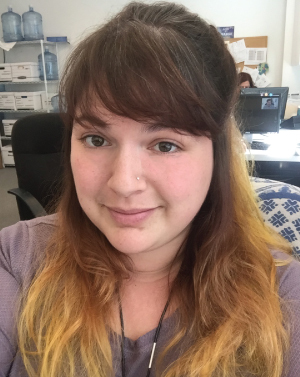 Jackie has wide ranging social activist experience that includes registering voters, voter education workshops, working on political campaigns and volunteer work with multiple grassroots organizations. She is passionate about pursuing social justice. A Columbia College graduate with a B.A. in Marketing/Communications she has worked as an educator and realtor. Jackie is an active member of Alpha Kappa Alpha Sorority, Inc. She attends Beth Shalom B’Nai Zaken EHC. In her free time she likes to spend time with her daughter, Racquel. 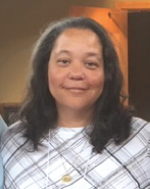 Marla Bramble joined the JCUA staff as the Director of Organizing in November 2014. With more than 15 years of organizing in Chicago, Marla brings a passion for justice and a breadth of campaign experience and relationships to the new position. She previously built a grassroots leadership development program and has worked with various coalitions to win victories on community, city, and statewide issues. Marla graduated from the University of Illinois at Chicago with a BSW degree. Marla is a swimmer and enjoys Chicago’s forest preserves, parks and lakefront. 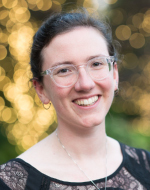 Emily is a recent graduate from Oberlin college where they majored in Comparative American Studies, with a concentration in histories and practices of social change, and a double major in Religion. 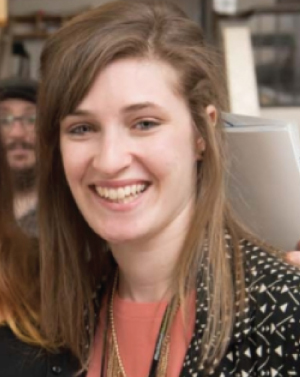 During school Emily delved into campus organizing, and often focused on the role of the Jewish community in activist efforts. This past year Emily was an organizing fellow with J Street U, organizing college students across the Midwest. They first got involved with JCUA as a teenager and have been involved in JCUA’s youth programs ever since! When not doing organizing work, Emily likes to spend time with friends and community and explore the city. 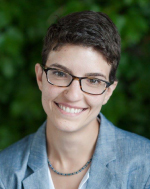 Jill joins JCUA with a deep passion for social justice and a breadth of political advocacy and development experience. Having served most recently as the Finance Director for Andrea Zopp’s campaign for the U.S. Senate, she played a crucial role in setting up fundraising operations that raised record funds within the first 30 days. 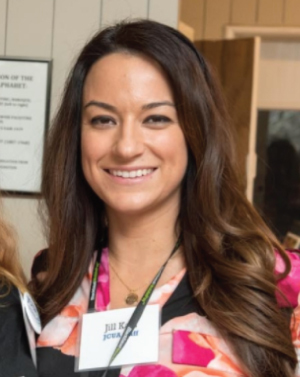 Previously the Regional Finance Director for J Street, she led fundraising and political strategy that contributed to the organization’s successful growth. She holds a degree in International Development and Economics from Michigan State University. Anna is thrilled to be back at JCUA after working as the Avodah Organizing Fellow for JCUA in 2015-16. In the intervening year, Anna worked as a national field organizer with Interfaith Worker Justice, organizing around issues of worker rights and immigration justice across the country. She is excited to bring those experiences to the work JCUA is doing organizing for just immigration policies here in Chicago. Anna graduated from Princeton University with a B.A. in Religion and a certificate in Judaic Studies. Outside of work, you can find Anna hanging out in other rad Jewish spaces in Chicago and spending as much time at the lake as possible. Avra graduated from Northwestern University with a BA in Sociology and a minor in Global Health Studies. She first began organizing on her college campus to create a group to fight for campus and Chicago-based justice issues. She is deeply invested in building a more just Chicago. Avra was a 2016 Avodah Justice Fellow, and she is in training to become a Hebrew Priestess through the Kohenet Institute. When she is not building power, she enjoys writing poetry, singing, and swimming. Originally from Baltimore, Matt was a leading voice for political engagement among his class at Towson University, where he graduated in 2017 with a double major in Political Science and Public Relations. His experience includes leading student organizations, working at a political consulting firm and organizing for Senator Chris Van Hollen’s 2016 campaign. 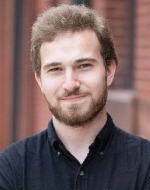 Matt is thrilled to be joining the effort for social justice in Chicago as the Development Associate for JCUA. Outside of the office, Matt enjoys going to comedy shows, playing video-games and trying all of the delicious food Chicago has to offer, especially deep-dish pizza. Hannah holds a Master’s of Nonprofit Management and Administration from North Park University. For over a decade, Hannah has served in administrative, communications and development roles for social service, advocacy and fair trade nonprofit organizations. Her experience includes e-marketing and communications strategy and design, website and social media management, Raiser’s Edge database management, individual and corporate cultivation, grant writing, prospecting and event management. Her young son has made her an expert in fort building, administering band-aids, and playing cars. 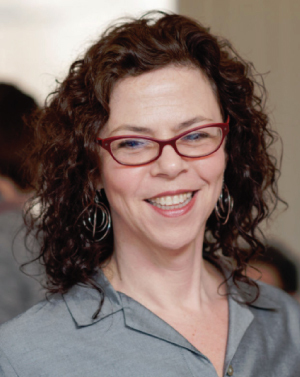 Aryeh Bernstein is a Torah educator, culture integrator, and 5th-generation South Sider. He is the Director of Avodah’s Justice Fellowship in Chicago, teaches for Mishkan Chicago and elsewhere, and co-founded the Northwoods Beit Midrash at Camp Ramah in Wisconsin. In 2011, he independently released a hip-hop album, called A Roomful of Ottomans. Brenda brings to JCUA over 25 years experience working with community – based organizations on a local, state and national level to build coalitions, design programs, and deliver trainings to increase the availability of affordable housing. As an attorney at the Legal Assistance Foundation, she worked with residents of public housing to help them access their options under CHA’s Plan for Transformation. She has provided technical assistance to non-profit developers to expand their capacity and partner with local CBO’s, financial institutions and local municipalities. As Housing Policy Advisor at the Office of the Illinois Attorney General’s Office, she established a statewide foreclosure helpline for Illinois residents at risk of foreclosure and identified approximately $1M in new funding to support the program. Brenda received her JD from the University of Illinois and her BA from Northwestern University.